Create a cosy and warm environment with the right choices of bedroom lighting for your space. You’ll have functionality alongside ambience to create a beautiful visual effect. 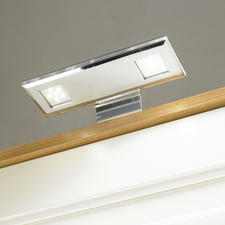 LED bedroom lights make the most cost-effective solution, thanks to their low energy output and long life. At First Lighting, we’re here to help you choose the right lights to make all the difference. Whatever your style or budget, we’ve got something to suit every taste. You don’t use your bedroom just for sleeping, so the lighting in this room needs to be cosy and welcoming as well as functional. Although sometimes we might overlook the lighting in this room, choosing the right fixtures can make a huge difference to the ambience and overall decor of the space. Finding the right bedroom lighting needn’t be a long-winded task either. With our selection of stylish and affordable fittings, we can help you find the right products for you. There are many different factors to consider, from the natural light the room receives to the height of the ceiling, and the size of the room too. It’s also advisable to think about whether you want the lighting in the room to become a decorative feature, or something that’s more functional and suited for tasks such as reading. More choices include dimmer switches. These can create a calming atmosphere as you can adjust the light levels for various moods and times of the day, so they are ideal in the bedroom. It’s also important whether or not you have LED bedroom lights, dimmer switches are the best choice for you if you don’t want to have to worry about regularly changing bulbs and want to save money on energy bills too. 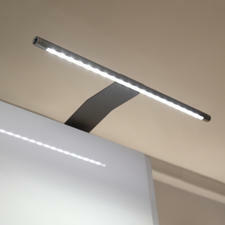 More factors to take into consideration when choosing bedroom lighting include whether or not you read in bed. If you do, you’ll need table lamps or directional spotlights. If you have a dressing area and apply makeup, a lamp might be best, or an illuminated mirror is another choice. Spotlights can disperse light widely across a room, and the recessed kind is perfect if you have a particularly low ceiling. But if you really want the feeling of grandeur in your bedroom, then a chandelier is the perfect choice. 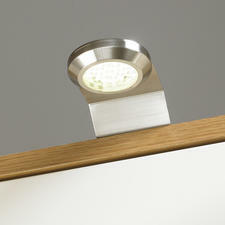 Shop our range of LED bedroom lights now, with high-quality products on offer at the best prices.